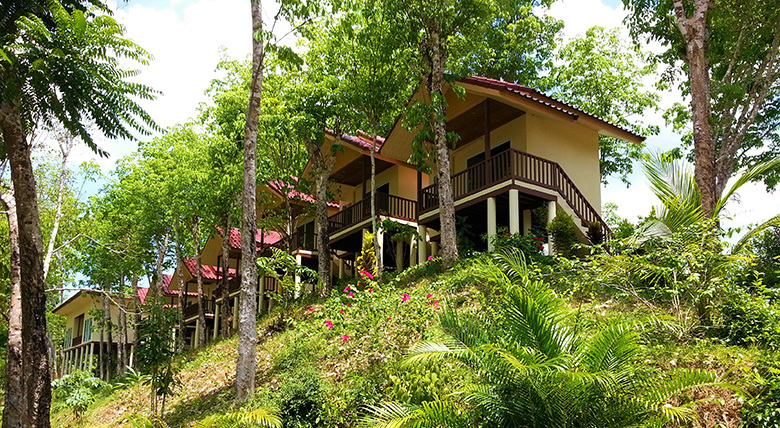 At the family resort Khao Sok River Home, you will be warmly welcomed by owners, Alex and Kate, and they make your stay in the jungle enjoyable. You will always find a pleasant and relaxing atmosphere, friendly service and feeling yourself lake at home. 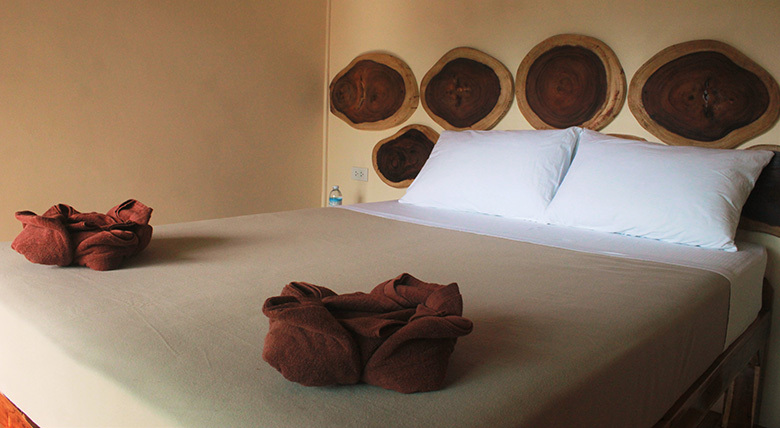 Our comfortable bungalow are nestled between trees and tropical gardens, across the river from the ancient jungles of Khao Sok National Park – Thailand’s oldest and most diverse ecosystem. You will wake up to the singing of gibbons, admire the fogs and beautiful scenery directly on the veranda of your bungalow and enjoy the extravaganza of fireflies. We have 7 bungalow max for 15 people. 2 Double “Rafflesia” Bungalows with big bad, 1 Triple “Chang Family” Bungalows with 1 big gueen size bed and 1 singl bed good for family and 4 Twin “Orchid” Bungalows with two bad. All room are fully equipped with hot water, air conditioner, design bathrooms & balconies with river, jungle and mountain view.. Discover the beauty of the Khao National Park with our Jungle bungalow and our Khao Sok tours, such as Cheow Lan lake, waterfall tour, jungle treks to see big trees, canoeing, survival trips and many other activities. How to get to the Khao Sok River Home Resort! Our resort is very conveniently located in a quiet place between the noisy and busy main entrance to the Khao Sok National Park (from us to the office of the national park 28 km) and beautiful Cheow Lan Lake (to the lake only 40 km). Not far from the second entrance to Khao Sok National Park, 7 km from Klong Panom National Park and a cave with fish! On the bank of the river SOK in the view of the mountains and the jungle! How to get to us from Khao Lak, Krabi, Surat Thani, the islands of Samui, Phangan, Tao, Phuket and other destinations! NOTE: WE DO NOT ACCEPT CREDIT CARDS and the closest ATM 11 km from the resort! PREPARE CASH! Thank you for taking care of us for 3days. It was great time to spend in Khaosok. We enjoyed excursions and refreshed feeling. We hope your dreams come true. Take care of all of your family's health. © 2019 Khao Sok River Home Resort. All Rights Reserved.